The Thermaltake Level 10 M comes with some handy software on a CD, but you can also easily download the software online. It took me less than a few minutes to install the software. The format is fairly straightforward and I didn’t run into anything unusual as far as mouse software goes. You can program your buttons and profiles once up and running. Beyond the software, the Level 10 M is a plug-and-play mouse. All things considered, I had the Level 10 M fully functional with one profile set up to play WoW with three light settings as well as DPI in under fifteen minutes. One look at the Level 10 M and you will quickly notice its futuristic design. And I mean this in the best way possible. The Level 10 M doesn’t sport an unrealistic, cheap looking attempt to be futuristic. 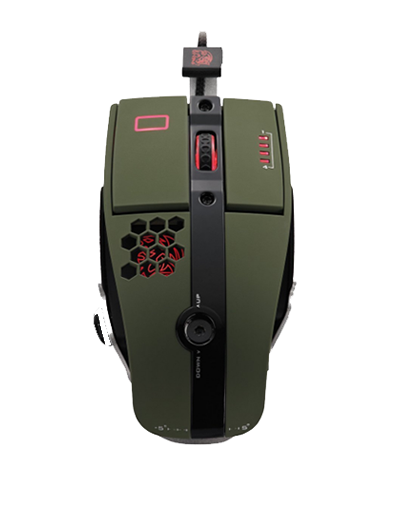 This gaming mouse really executes a unique look, which leads us to the question of who the heck was behind the design? The Thermaltake Level 10 M has a maximum DPI of 8200 with 50 distinct DPI settings to choose from. 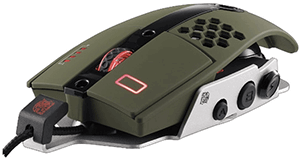 A laser sensor; 7 buttons plus 4 more on a directional thumbstick; fully customizable LED lighting with 7 distinct colors that can be dedicated to the logo, scroll wheel, DPI indicator and the left mouse button; 5 customizable profiles; Macro-capable with custom time settings; Industrial Rubber-Coating to protect the mouse from just about anything and an adjustable form factor, or what they describe as, “3D Axis Steering” (allows you to lower/raise the palm rest as well as widen the right-side). Just a reminder, I value comfort over specifications, because all-too-often I have found that really amazing specs can be ruined by faulty or absent ergonomic design features. It doesn’t pay off to have a mouse with crazy awesome specs when you can’t even use them comfortably. The specifications as well as the design come at a heavy weight (6.5 ounces). And, again, the immaculate and sturdy design of the mouse is eye candy for serious gamers and its certainly going to have a powerful “awe” factor. The Level 10 M is even equipped with several holes in the palm rest, which provide airflow to your palm and supposedly cool it down. Personally I did not take notice of this until I read about it in the instructional manual. After using the mouse outside, I did notice a slight breeze on my palm. When you plug this mouse in the first thing you’re going to notice is that it’s an extremely smooth and accurate device. But comfort is a problem. The mouse was difficult to grip and refused to work with my hand, and instead, worked against it. I also had trouble getting to the macro buttons, which are located on the right side of the mouse. Now personally, I prefer a nice solid click sound on my gaming mice and the Level 10 M proved difficult for me during gameplay and normal web browsing. Particularly troublesome were the thumb buttons, which were highly sensitive and a nuisance to adjust. That said, I want to discuss the Level 10 M’s performance specifications. The default DPI is set at 5000DPI, which I played around with for a bit, and yes, this is an extremely fast mouse, designed for professional and serious gamers who play with extreme accuracy. But once again, the scroll wheel had very little resistance and I continuously found myself accidentally pushing it during gameplay and this is NOT something you want to happen with a mouse this expensive. Of course, a lot of gamers adjust to sensitivity over time but for many gamers this is a problematic design-performance feature of the mouse. For most gamers, the Thermaltake Level 10 M’s performance specifications will prove to be much more than you will ever utilize. 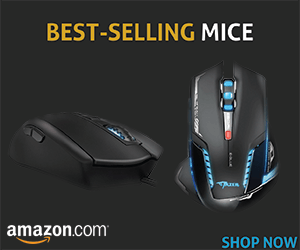 That said, the mouse provides a lot of room for growth and expert precision for extremely skilled gamers. My general complaint with the mouse is that it sacrifices critical ergonomic features for a highly evolved design and ultimately this sabotaged its noteworthy specifications that would make just about any gamer drool. Do you have more to add to this mouse? Feel free to write it in the comments.